The Duchess visited her new Patronage to meet volunteers and the women they have coached back to work. 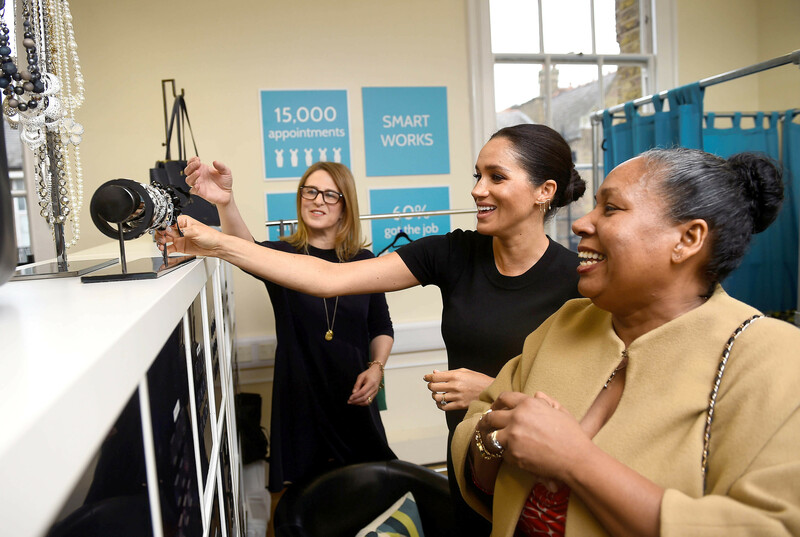 The Duchess of Sussex visited Smart Works in London today. The visit follows this morning’s announcement that The Duchess is to become the charity’s Patron, along with three other charities and organisations. Smart Works helps long term unemployed and vulnerable women regain the skills, confidence and tools to succeed at job interviews, return to employment and transform their lives. Women come to Smart Works from prisons, care homes, homeless shelters, mental health charities & job centres – many have been unsuccessful in 20+ applications and are struggling from a lack of confidence. 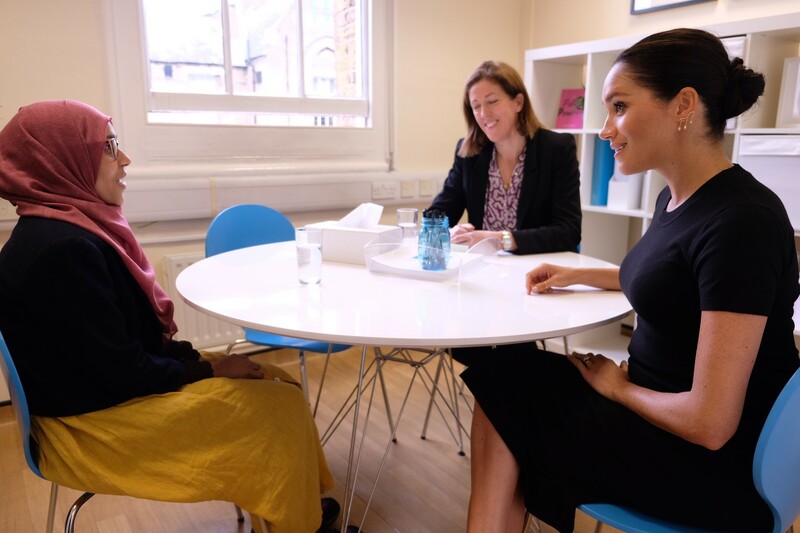 The Duchess joined a roundtable discussion with volunteers at the headquarters in London and then met some of the women in the Dressing Room, who have been successful in interviews following their time at SmartWorks. Each client has a personalised styling session with two Smart Works volunteer stylists, receiving a complete outfit of high quality clothes and accessories for their specific job interview, which are free and hers to keep. In the last five years, the charity has helped over 11,000 women and has plans to dress 3500 women this year across the UK. Smart Works aims to dress 3500 women this year across their two London offices, and additional bases in key cities across the UK - Edinburgh, Manchester, Reading, Birmingham and Newcastle. Find out more about Smartworks here.